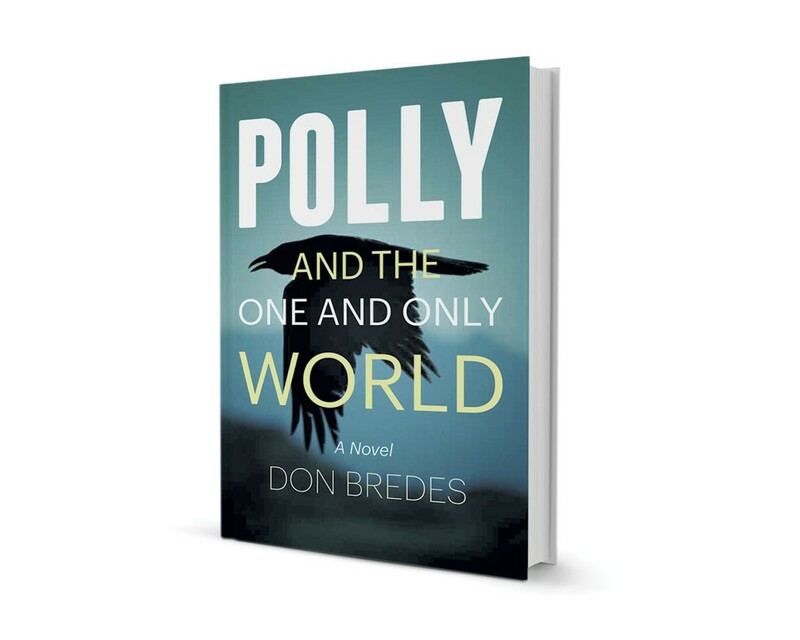 Polly and the One and Only World by Don Bredes, Green Writers Press, 336 pages. $14.95. Bredes reads on Saturday, November 15, 4 p.m., at Northshire Bookstore in Manchester Center. In a broken future America, a teenage witch travels from Florida to Vermont to save her kind from a purge orchestrated by a repressive Christian regime. Oh, and she can fly. That's the irresistible premise of Don Bredes' new novel, Polly and the One and Only World, which draws on influences such as Cormac McCarthy's The Road, James Howard Kunstler's post-peak-oil novels and Philip Pullman's His Dark Materials trilogy to put a new spin on the thriving genre of young-adult dystopian fiction. Vermonters most likely know Bredes for his trio of gritty Hector Bellevance mysteries set in the Northeast Kingdom, or for his screen adaptations of novels by his good friend Howard Frank Mosher. But the Danville author isn't new to the YA category: His debut novel, Hard Feelings, published in 1977, had a Holden Caulfield-esque teen protagonist. Nowadays, dark visions of the future are all the rage in YA, with moviegoers flocking to blockbuster adaptations of Divergent and The Hunger Games. The landscape Bredes describes — ravaged by climate change and the end of the "Oil Age," sharply divided into haves and have-nots — will look familiar to fans of those books and films, albeit more meticulously realized. The author's choice of a strong female protagonist lines up with current trends, too. But his portrayal of the antagonist — an imperialist fundamentalist Christianity — has a decidedly progressive slant. The story opens with 15-year-old Polly Lightfoot living with relatives in Orlando, in the heart of the Christian Protectorates. She's been sent there by her father, head of their Vermont coven, to take refuge from the coming purge of infidels. "Ten thousand Home Guard troops were already massed along the shore of the lake from Ticonderoga to Plattsburg, poised to commence the sweep," writes Bredes. The "Faith and Redemption Amendment" has left all unbelievers "fac[ing] arrest and exile, or consignment to a work camp, or death." After Polly's familiar, a raven named Balthazar, brings her dire news from the north, she sets off on an epic road trip to return to her father's side. Heading up the coast, she encounters people of every description, most of them devious and dangerous — and one loyal traveling companion, a boy named Leon. The novel is more a picaresque than it is a "hero's journey": Bold and capable from beginning to end, Polly doesn't so much "come of age" as simply apply her skills ingeniously to one perilous situation after another. Bredes presents a wonderfully intricate version of witchcraft: Spells are in Middle English, animal familiars are neither cute nor fuzzy, and flying is hard. Witchcraft has its own belief system, too, nature based and focused on the "one and only world" in which we live. Bredes' descriptions of that world, built detail by painstaking detail, are the novel's greatest asset. While his style here is fast-paced and friendly to young readers, he finds room to turn painterly phrases that bring the setting alive. A waterfall has "milky sinews"; a ruin has a "pebble-textured wall" where the travelers can make out "the shadow of a word, JCPenney." Indeed, so vivid is this journey's panorama that it frequently overshadows Polly's plot and characters; the latter remain more archetypes or deft sketches than people. The novel ends with a host of problems unresolved, though it offers tantalizing glimpses of the witch community's workings that suggest rich material for a sequel. Bredes' title reflects a timely sense that this world is the "one and only" we have to inhabit. Fittingly, the novel's small publisher — Green Writers Press of Brattleboro — donates a percentage of its proceeds to 350.org. Yet Bredes keeps preachiness far from his action-packed narrative. Readers who appreciate dystopias as vehicles for social critique will want to take Polly's journey. The original print version of this article was headlined "Quick Lit: A Road (and Air) Trip Through Dystopian America"